Graeme McDowell declared he’s not ready to return to Europe and will continue to battle through the pain barrier as he seeks to overcome a left wrist injury and regain exempt status on the PGA Tour. McDowell has his left wrist heavily strapped after bruising the lunate bone while hitting golf balls during a New Year family holiday in the Bahamas and‘G Mac’ initially believed the injury to be a new-season practice session twitch but the pain remained until a scan revealed the true source of the injury. After both he and Shane Lowry forfeited their PGA Tour cards at the end of last year the last thing McDowell needed was an injury that already had him having to forgo invitations to tee-up in both last month’s Desert Classic at La Quinta and last fortnight’s Farmers Insurance Open at Torrey Pines. 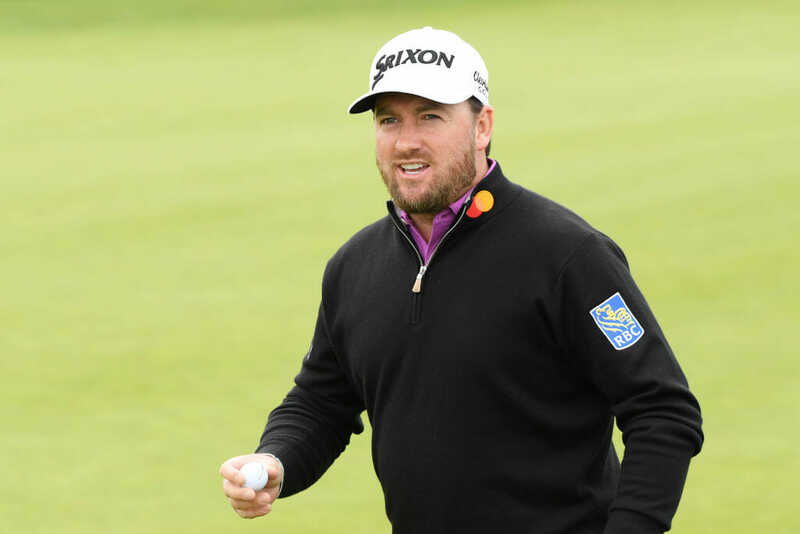 McDowell admitted his wrist is still only 80% fit and continued popping pain-killers and anti-inflammatory’s after a gusty 68 on day one of the AT & T Pebble Beach Pro-Am followed by a second round 70, which leaves him just outside the Top 20 on five under par. The Florida-based McDowell rekindled memories of his 2010 U.S. Open triumph as he headed into day three of the €6.64m event just five shots off the lead held by five players; Mickelson, Glover, Langley, Casey and Spieth with Shane Lowry struggling a long way down the field in T128 on four over par. “That has been the frustrating part the last month or so as when I have managed to take my wrist up and hit some ball’s I was semi pain free for half-an-hour, and I’ve hit the ball really well in practice. But I have not been able to manage it to where I could play 18 holes. I played 18 holes on Tuesday and that was my first 18 holes since 29th December”. April 18th starting RBC Heritage Classic, Hilton Head, South Carolina. And with a young family back home at Lake Nona in Florida, McDowell insists he dearly needs to regain full Tour playing rights in the States. “The way I look at it I have 18 months here on the PGA Tour to get myself together,” he said. “After ending last year ranked 126th and in the group who finished the 125th to 150th, I can call on favours and that is what I have been doing. And while focusing on the PGA Tour, McDowell has confirmed he will return to Ireland for the July 4th commencing Dubai Duty Free Irish Open at Lahinch.